Senator Richard Gordon has expressed sadness over the death of broadcast journalist Amelyn Veloso and extended his condolences of her family. "The TV & radio industry has lost one of its most amiable & professional hosts. 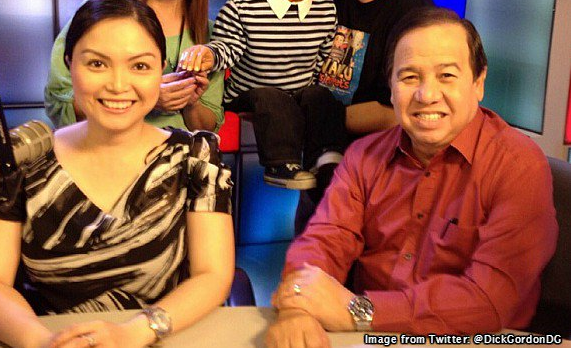 Kate & I send our heartfelt condolences to d family of Amelyn" Sen. Gordon said. "Im heartbroken over the loss of a great gentle & lovely creature of God, Amelyn Veloso. Not just a TV professional but a kind-hearted person" Gordon added. "Last night, I had to step out of her room to sum up the courage to face her. When I went in, I saw a brave soul ready 2 be with our Creator." he said. Veloso worked for TV5 for several years before jumping to CNN Philippines.